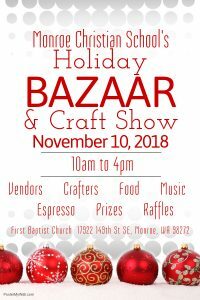 TAPP is holding our MCS Holiday Bazaar again this year on Saturday, November 10th at First Baptist Church. If you are a crafter and would like to be a part of this bazaar, complete the attached application and return to the MCS office with a check. Additional information can also be found on the MCS Holiday Bazaar Facebook page (Click here) Questions? Reach out to Carrie Cox or Missy Hughes. 2018-2019 Enrollment for Preschool, PreK, and Kindergarten – 8th Grades is now open. Registration forms can be found here!